Paint a picture. Paint overtop all the military checkpoints, violent past, and whatever else the media has filled your imagination with about this place. Paint locals whose smiles speak for their overwhelming hospitality. Paint clear, blue skies, bourn by one of the most dramatic mountain vistas imaginable. This place is what fairytales are made of. As I open my eyes and remember where I am, it all sets in. 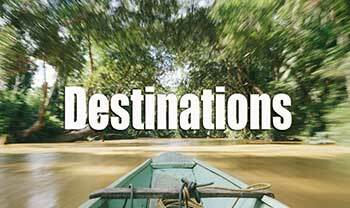 Reality is what you make of it, but finding the truth to reality is a traveler’s fortune. 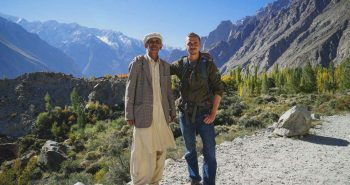 Here I am in the Panjshir Valley, Afghanistan; what an incredible place I have found myself in. 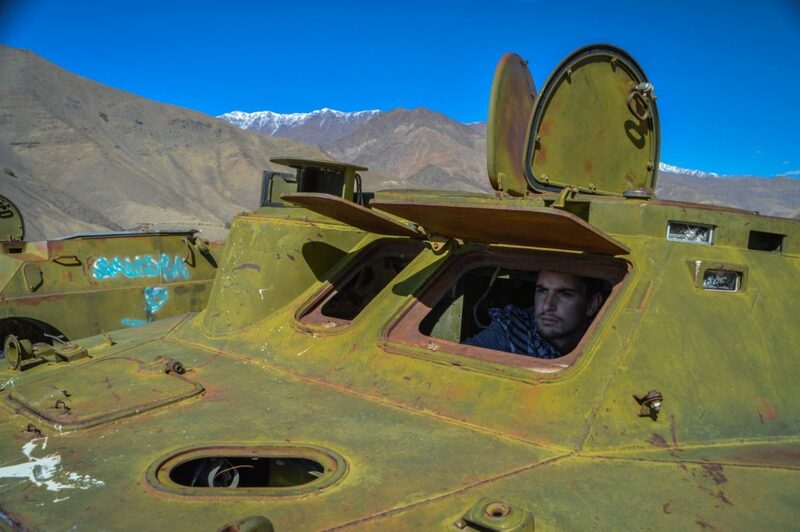 After a week of jumping around Afghanistan’s north near Mazar E-Sharif, I was south bound. 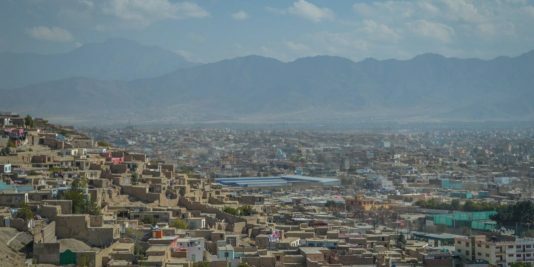 Travel in Afghanistan is almost completely non-existent, due to the country’s ongoing security situation. 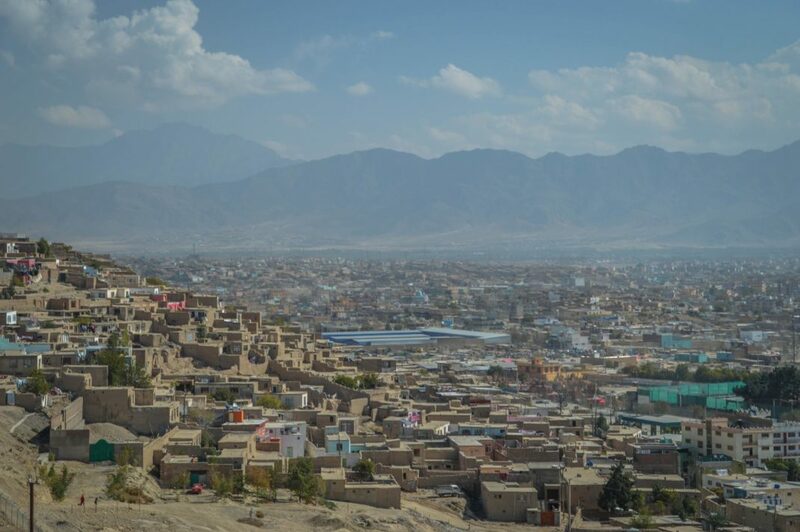 From Mazar, I would head to Kabul, the country’s bustling capital city. 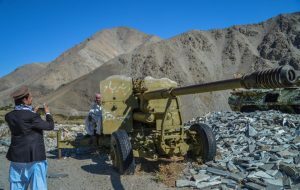 The only thing that stood in the way was crossing the Hindu Kush mountain range via the Salang Pass. The Salang is a 3363m high pass. 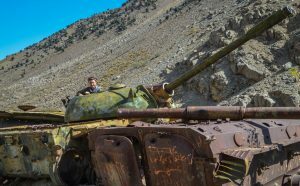 It consists of decaying roads, a 10 km collapsing tunnel built decades ago by the soviets, and regions that are known for faux Taliban road blocks. 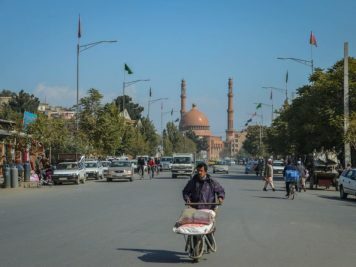 If you want to get to Kabul however, this is the only viable route that connects the capital to the north. 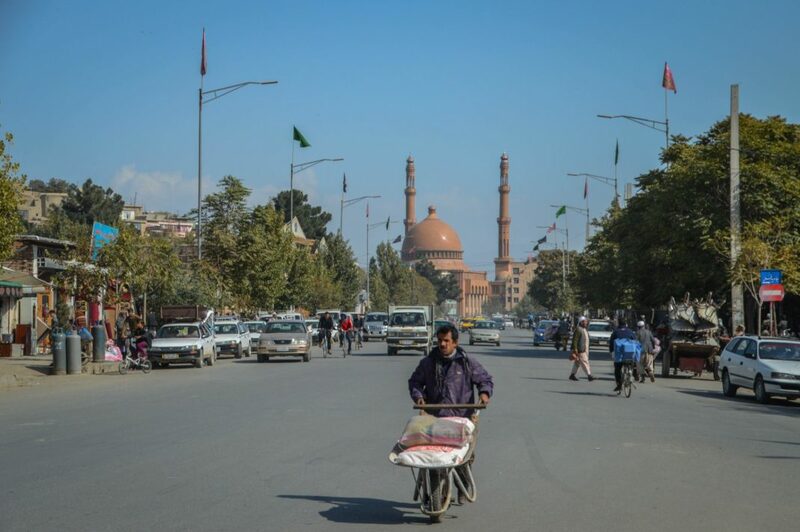 In Mazar E-Sharif, you can purchase bus tickets for this dangerous route. 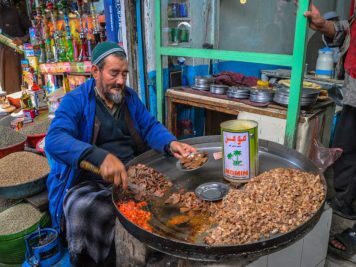 Near the Shrine of Hazrat Ali on Darwaza-ye Balkh Street, you will find an assortment of small ticket booths that belong to a few individual private bus companies. Some of the vendors even speak broken English. 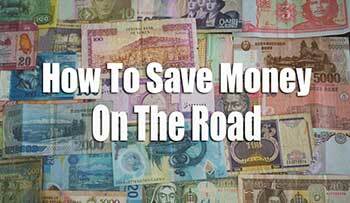 The ticket costs around 30 US dollars. There are two options for time of departure; the first being at 4 am, and the second is a night bus that leaves at 4 pm. The night bus has been attacked numerous times, so this is not a wise choice. I opted for the 4 am departure and was told the bus would leave from a compound outside the city limits of Mazar E-Sharif. At 2:30 am, my alarm went off. It was pointless, as I was already awake, pacing back and forth in my dimly lit room. My mind was racing. Thoughts of what dangers lay on the road ahead filled my mind. My travel companion, Matt, was also awake, in the same dilemma as I was. At 3:00 am, our friend Mohammed’s cousin, or uncle… doesn’t matter, arrived to pick us up. He was the taxi driver who would take us to the compound at this potentially hazardous hour. When the taxi arrived, we had to creep past the armed sleeping guard and out the iron gate that blocked intruders from entering the hotel. The relative of Mohammed greeted us and quickly shuffled us into his cab. He, too, was aware that driving two foreigners at this hour was not advisable. Upon arrival to the compound, we were pleasantly surprised on how well organized the temporary bus station was. 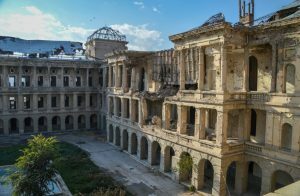 It was guarded by tall walls topped with barbed wire, men in black wielding large machine guns and friendly ticket men who did, in fact, speak English. Mohammed’s relative brought us to our seats and, after a few selfies, we said our goodbyes and departed. For the first few hours, it was pitch black. 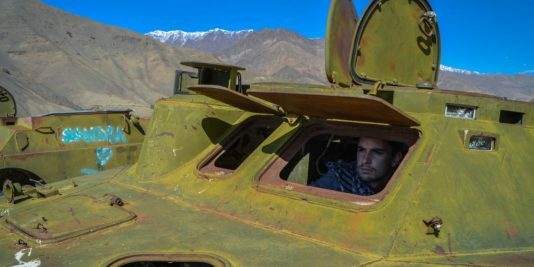 We passed through multiple military check points, making us feel like we were undercover spies, as the soldiers did not notice two foreigners decked out in Afghan attire. When the sun began to rise, the silhouette of the massive Hindu Kush Range was on the horizon. By 9:00 am, we began the steep ascent to the Salang Pass. The scenery was outstanding. We passed by small villages where the structures defied gravity by clinging to the side of sheer cliff faces. 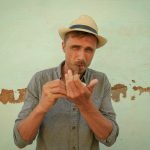 Every so often, the bus would stop for nomadic herders to push their herd of goats across the steep mountain road. When noon struck, we entered the Salang Tunnel; a 10km long poorly lit, dingy, scary decaying tunnel. At times, while driving through collapsed sections of the tunnel, stunning mountain views were revealed. It took thirty minutes or so before we burst from the exit of the tunnel, like a bat out of hell. The Salang Pass was in the midst of a blizzard, blanketed with snow and ice, a stark contrast from the beginning of the tunnel, which only showed early signs of the temperature decrease. The bus navigated its way through the snow storm and slowly descended the icy cliff side. It was defiantly a white-knuckle ride. 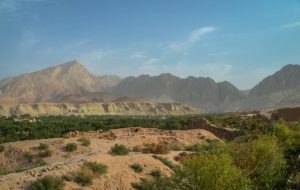 From the Salang, we followed the dirt road through a dramatic looking mountain valley. Our bus stopped for tea in one of the quaint villages along the way. 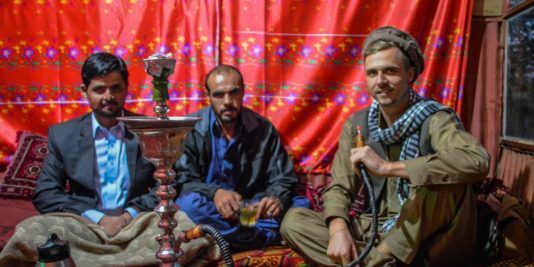 I’ll never forget stepping off the bus in this remote corner of Afghanistan and thinking to myself, “Where are all the bad people?” A few of the passengers offered us to join them for tea and wish them we shared stories of our journey up until now. A few more hours passed before we could finally see the outskirts of Kabul. 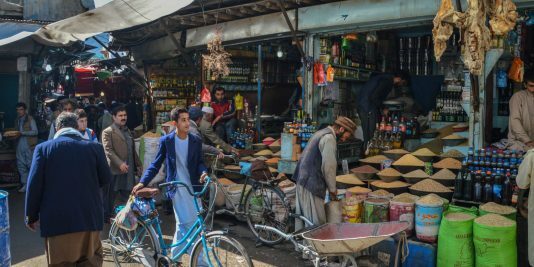 From the beautiful, remote Hindu Kush Mountains, we entered the dusty, bustling city of Kabul. Our bus stopped at an old garage, in a part of town that I still have no idea where it is. Luckily, a cab driver noticed us and took us into his care. The cab dropped us off in the downtown at the Mustafa Hotel. I am warning you now, do not stay at the Mustafa. This old Journalist hangout is now a dusty, decrepit, dark hole in the wall. The owners were shocked to see us there, in fact. From Mustafa, we tried the Golden Star Hotel which had three security checkpoints to get past. The 140 US Dollar price tag sent us running from this place. After a few more hours searching, we found two decently priced guest houses on the street in front of Chicken Street. 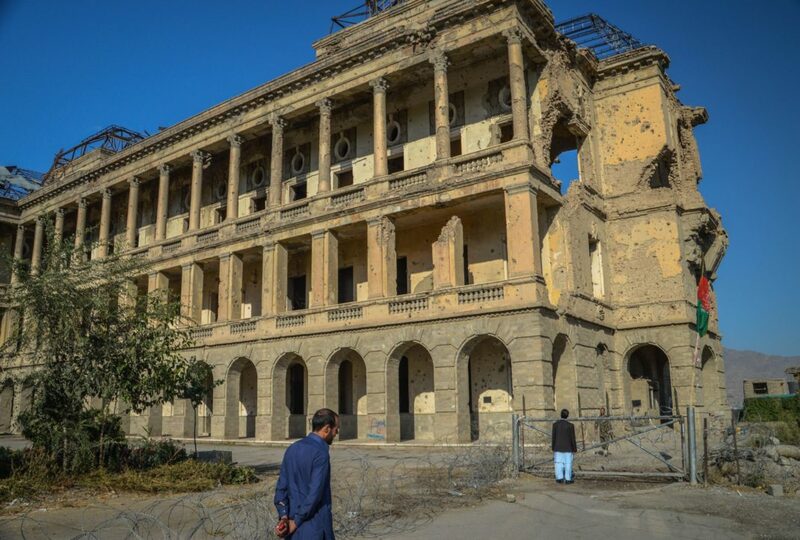 One was the Marco Polo Guest house and the other was in the back of a pop up fast food restaurant. 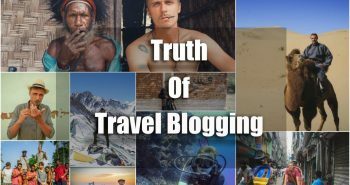 We ended up staying at both while visiting Kabul. They both came equipped with security and great rooms for under 20 US per night. 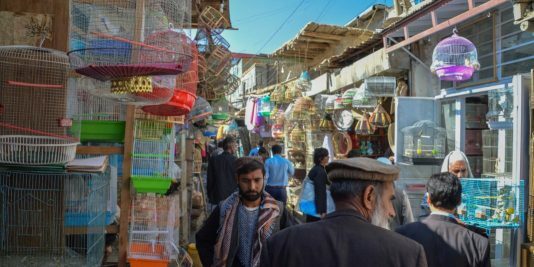 Near our guesthouse was the famed “Chicken Street.” This old hippie hangout is the last remnants of Kabul’s old Backpacker days. 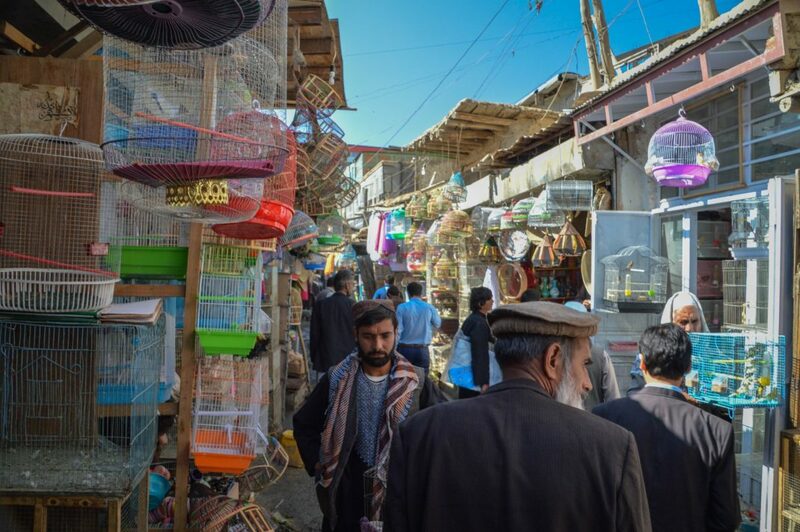 The street is lined with shops selling handicrafts from around Afghanistan. 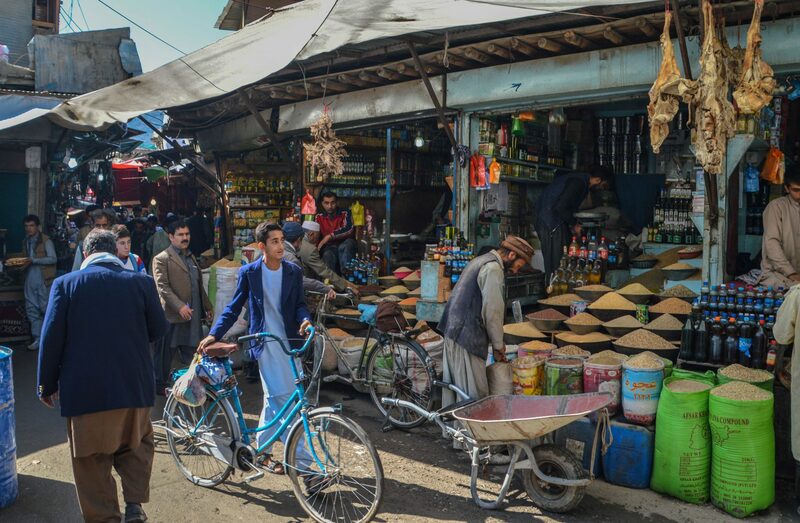 A few of the shops here are more like museums for those curious of what Afghanistan’s antiquity market looks like. 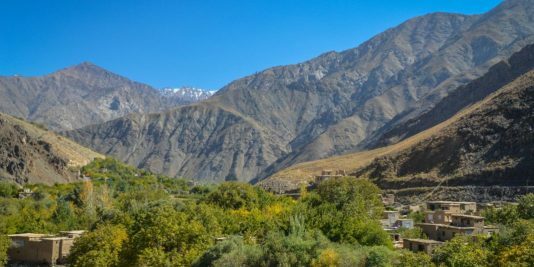 You can find antique rifles/pistols, hand forged opium scrapers (yes, I bought one), the highly-sought after blue Afghan stone Lapis Lazuli, and pelts from rare species like the snow leopard. Chicken Street has survived because of the demand for souvenirs is still alive and well. 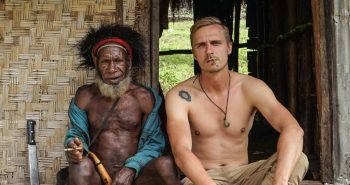 What has changed is that these days, the hippie backpackers have been replaced with soldiers and NGO workers. We spent that evening browsing and bartering for unique souvenirs (antique opium cutters and pistols). One of the shopkeepers brought us in for tea and told us we were the first “tourists” to visit his shop in more than thirty years. Many of the other Afghan shop keepers even applauded us for being here just to visit. The next day, another one of Mohammed’s distant relatives or friends or something picked us up to “hang out” with the foreign tourists of Afghanistan. 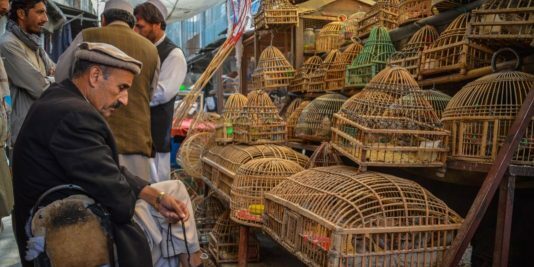 Our new friend, Farwad, brought us to the Faroshi Bird Market. 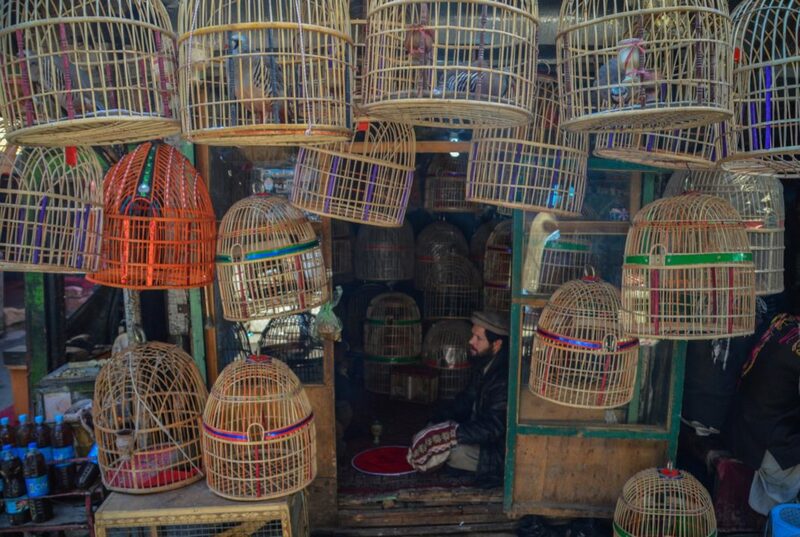 Seeing this Bird Market is like stepping back in time. 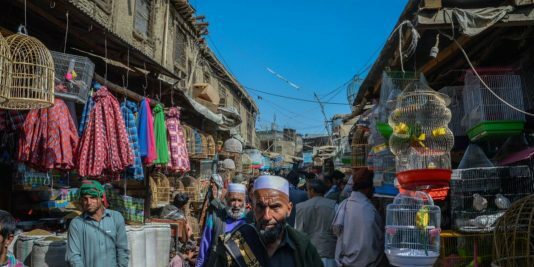 The crowded, narrow alleyways weaved through the densely-populated maze of Kabul’s medieval core. 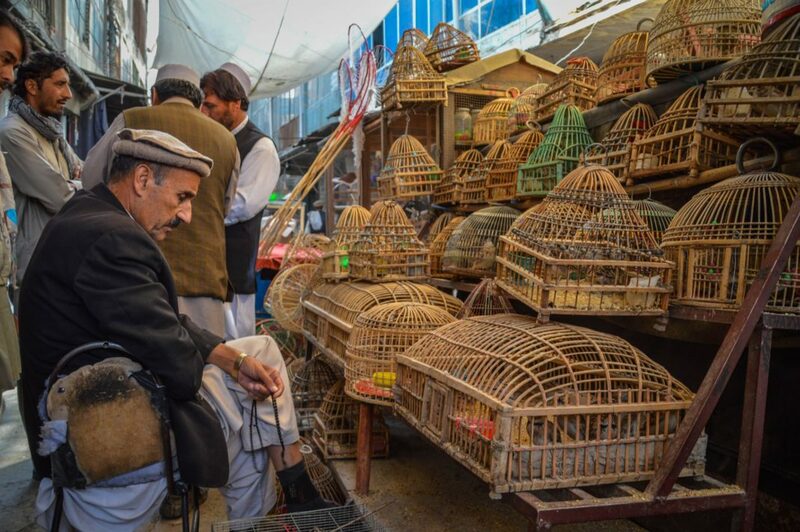 Shops selling colorful, chirping birds can be found alongside basket makers, copper banging, metal forging, and traditional cloth stalls. 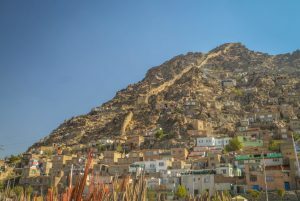 This medieval spectacle is a must-see for anyone visiting Kabul. Once again, the Afghan hospitality brought us into numerous shops for tea and storytelling. 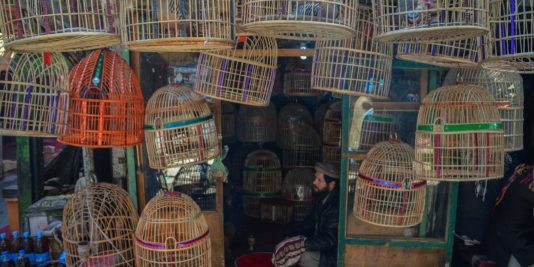 From the busy Faroshi Bird Market, we took a cab to the Babur Gardens near the outskirts of Kabul. 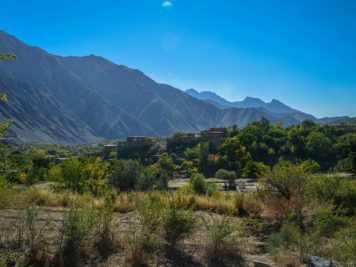 These 16th century gardens, constructed by the Mughal ruler Babur, are a peaceful getaway from the hustle and bustle of Kabul. 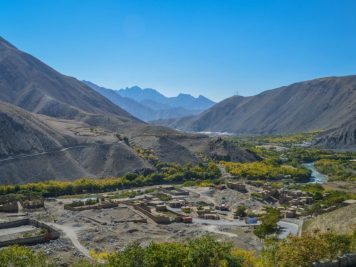 The trees and shrubbery are neatly pruned and placed alongside ancient marble tombs, signifying Afghanistan’s imperial Mughal past. Walking through the gardens, you notice that these days they are used for smooching teenage couples to get away from the conservative culture that doesn’t allow them to see each other elsewhere. It’s a great place to chill out, none the less. 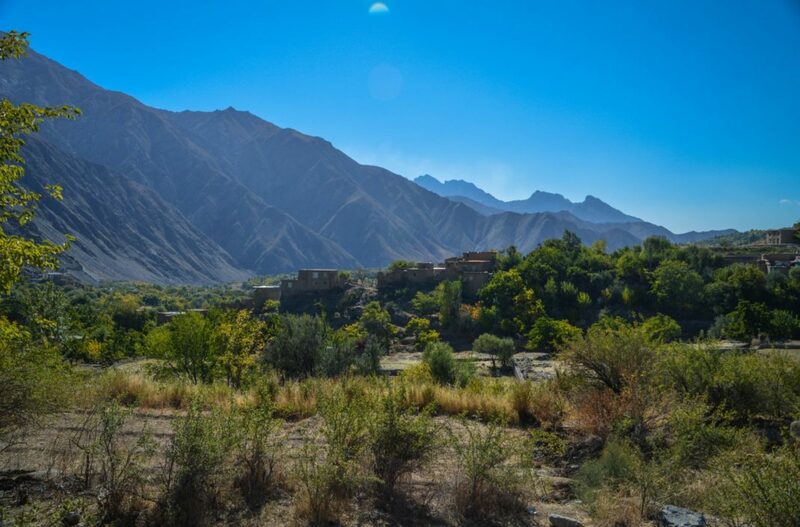 Over the next few days, we visited the ancient walls that seemingly crawled over the mountains in the Kabul Valley. They also separate parts of the slums near the river. Farwad also brought us to numerous buildings that were destroyed in the past 30 years of war. 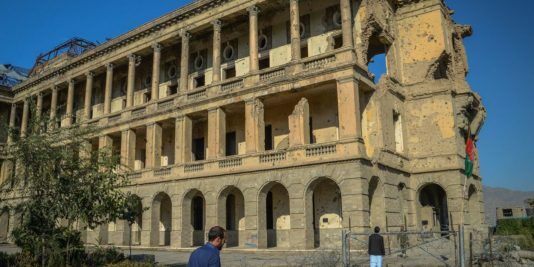 One that I really enjoyed seeing was the Darual Aman Palace. 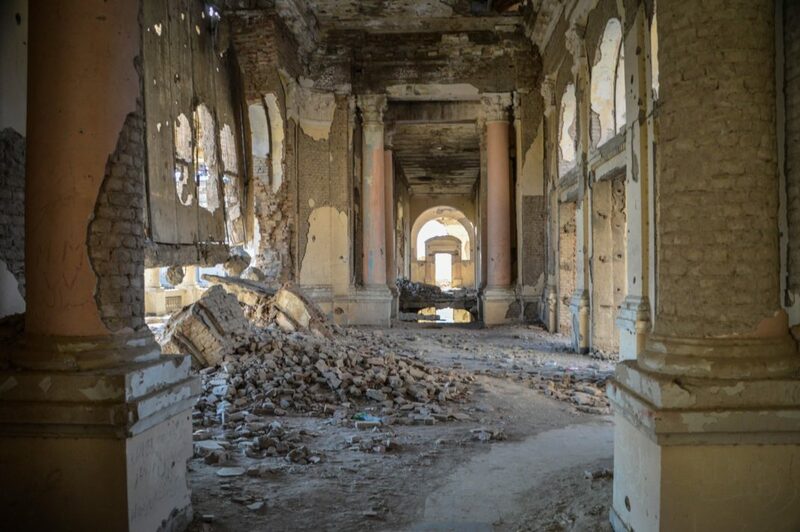 This palace was sacked by the Soviets, then the Taliban Regime, leaving it mostly in rubbles. 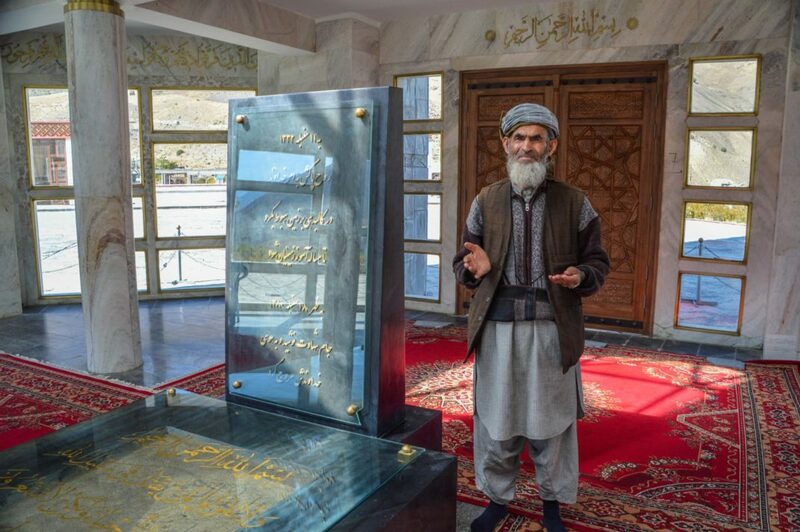 Another great memorial affected by the war that we visited was the Mausoleum of Nadir Shah. 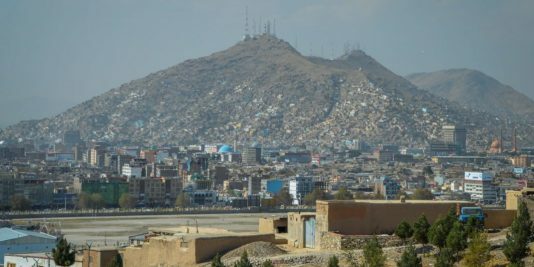 Nadir Shah, who was assassinated in 1933 had his tomb erected here atop the Teppe Maranjan hill, one of the oldest inhabited spots in Kabul. 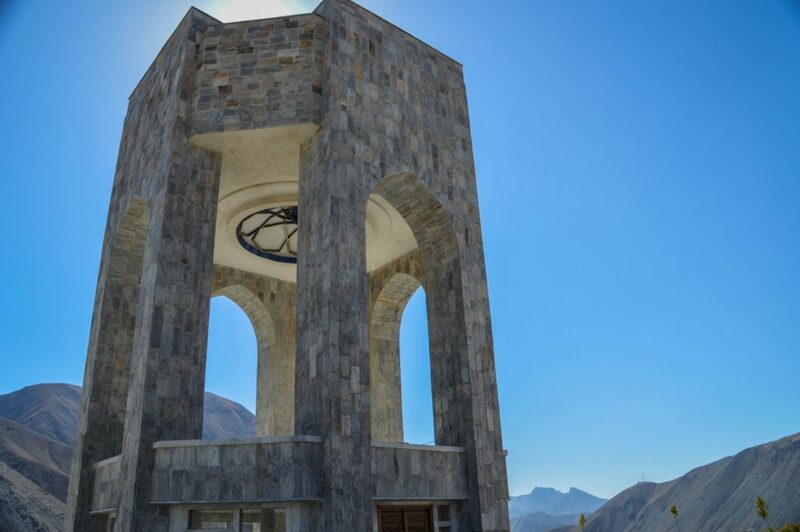 The mausoleum has suffered airstrikes and Taliban Bombings. Large portions of it are cracked, bullet-ridden and downright unsafe. 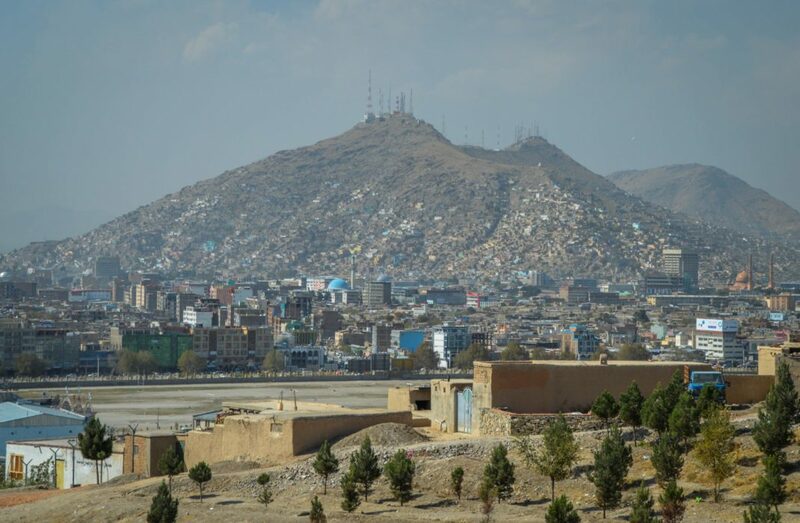 The views from the hill over Kabul are worth it, and if you love taking photos, this blown apart monument screams authentic, war-torn Afghanistan. A few other sites that we visited to note are dotted around the city. One of my favorites is the Shah-e Doh Shamshira Mosque. This Mosque looks like it could be placed in Venice, as it’s oddly crafted to look European rather than other typical Mosques here. 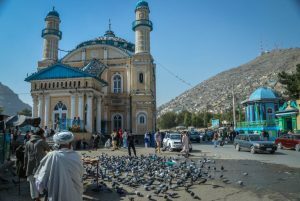 Surrounding it are millions of pigeons who wait for the impending Afghans who feed them for fun. 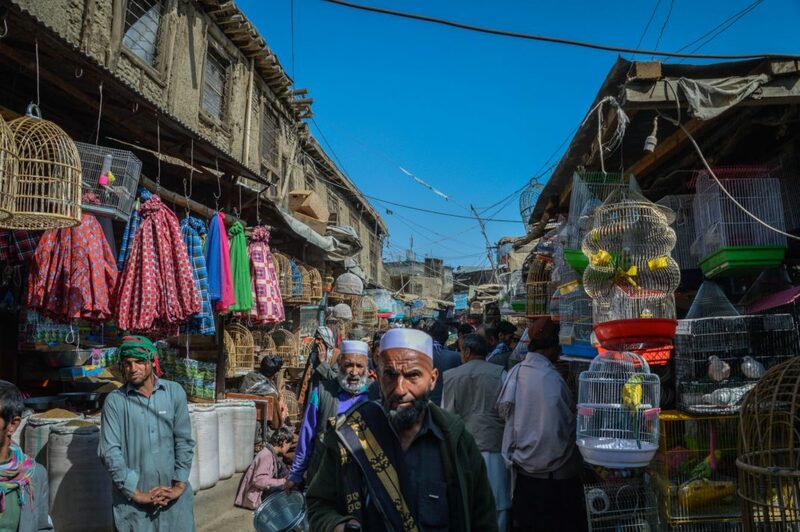 Just outside the Shah-e Doh area is a lively market selling everything from used electronics to military gear and Burqas. If you’re into museums, the OMAR Land Mine Museum is worth a stop. The museum displays more than 60 odd types of Landmines and shows how these malicious tools of war work. 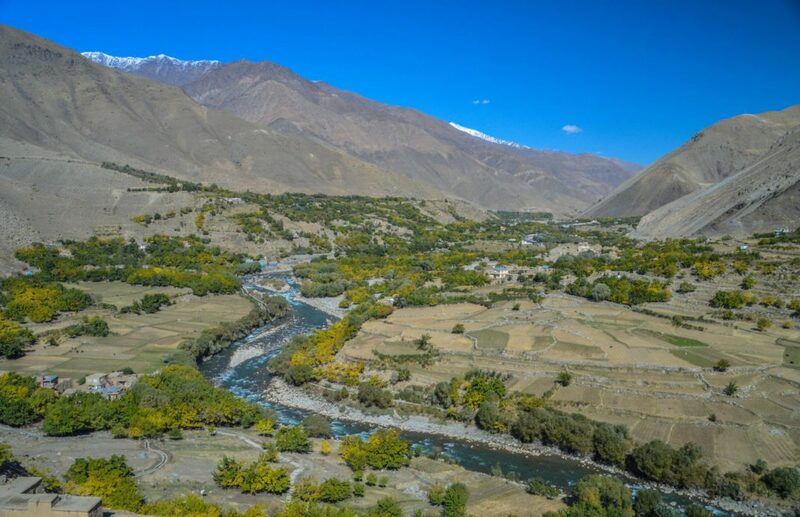 The remote Panjshir Valley has been one of the most impenetrable places in the world for the past thirty years. The valley’s massive mountains act as its fortified walls. The Mujahedin who call the Panjshir home closely guard their homeland with pride. 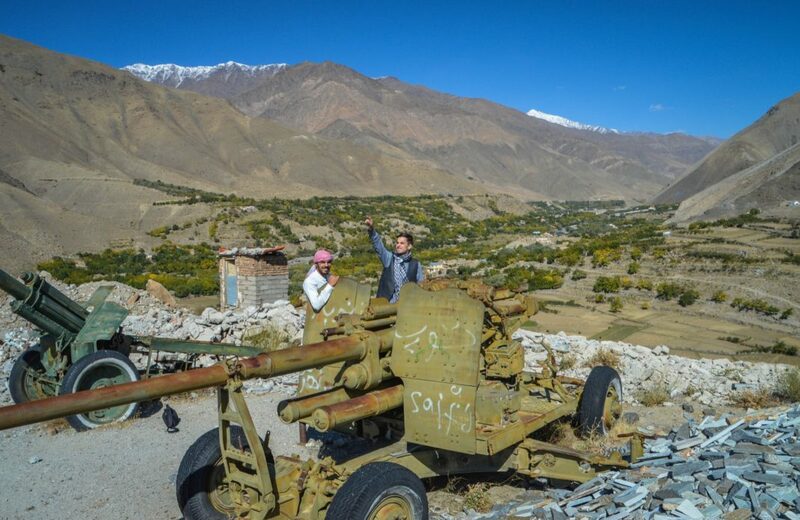 First the British, then the Soviets and finally the Taliban/American war all failed to make it into the Panjshir. The leader of the Mujahedin, and hero of Afghanistan is Ahmad Shah Massoud. His face can be seen on billboards all over the country. Known as the Lion of Panjshir for his heroic victories against the Soviet Occupation, Ahmad Shah Massoud is remembered for fighting the Taliban and keeping his home the Panjshir out of their reach. 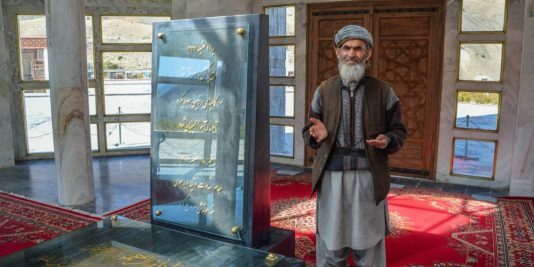 He was assassinated in 2001 and his tomb can be found in the Panjshir Valley, on a remote hill overlooking the beautiful landscape. 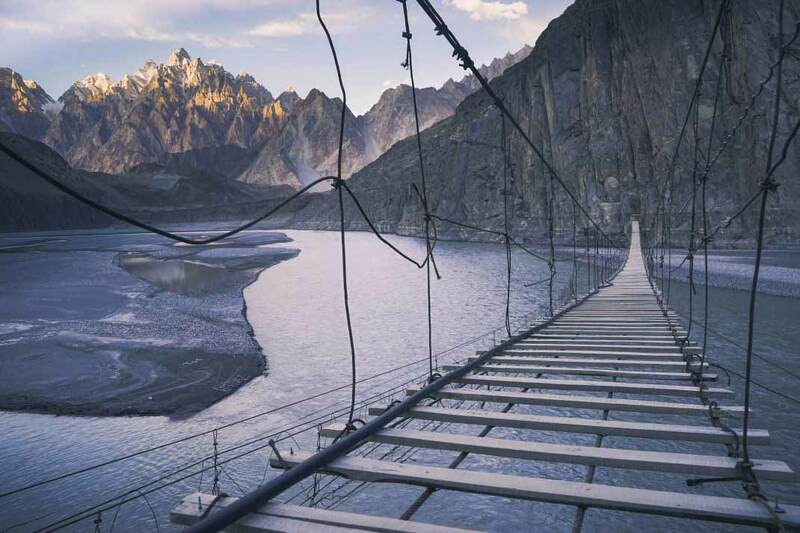 Seemingly an impossible task was penetrating the remote Panjshir Valley. It was a challenge that I had promised myself I would attempt. Farwad arranged for a taxi driver, who we had met a few days ago, to help us. Our driver had been there before but had been turned around in the past. We left early in the morning. The drive was pleasant. 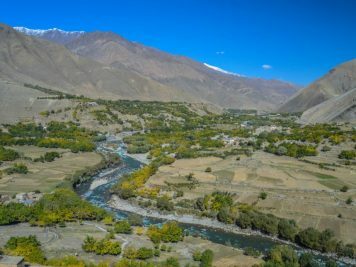 We passed by farming villages and an increasing number of roaring blue rivers the further we went into the mountains. 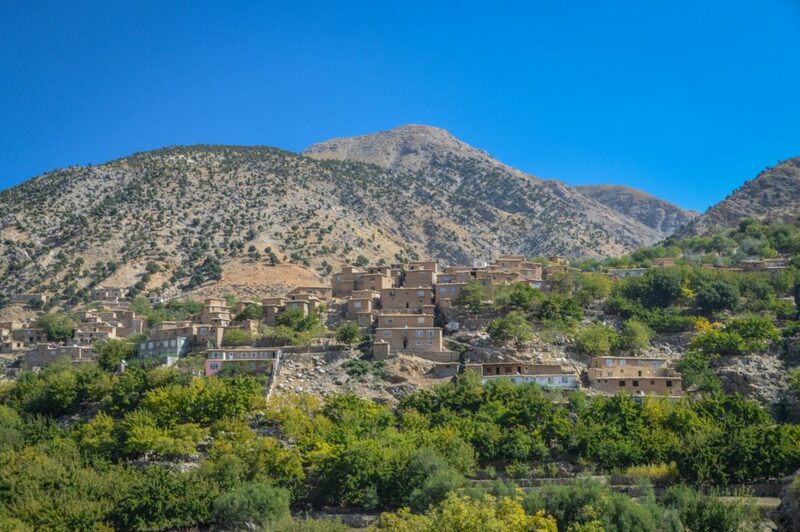 The valley walls began to enclose as we approached the entrance to Panjshir. At the entrance, there was a military post that stopped us and asked for our papers. 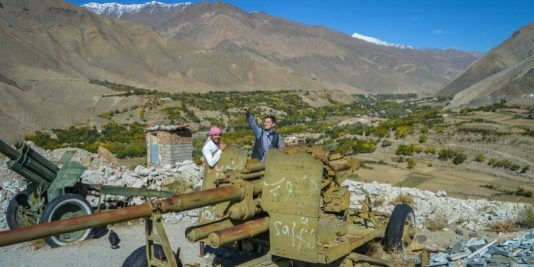 The leader of the post interviewed me, asking me why I was coming to Panjshir and exactly who I was. 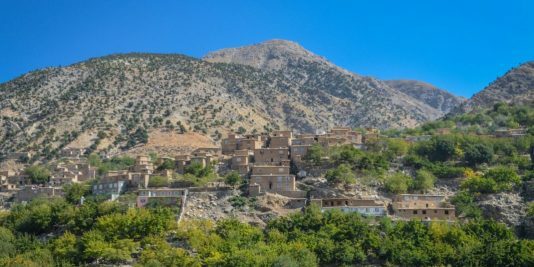 After some deliberation, we managed to convince the military leader that we were not a part of the CIA or any form of spy agency, we were allowed to enter Panjshir for the day. 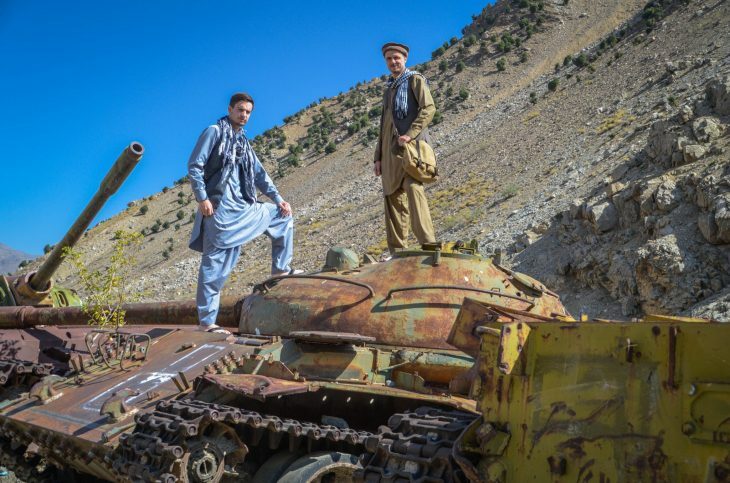 The first thing you notice when entering the Panjshir is the line of broken and blown apart tanks. Some are British, some Soviet. The army told us there are even a few American ones. We clambered our way into a few and found old Soviet hats and odd pieces. 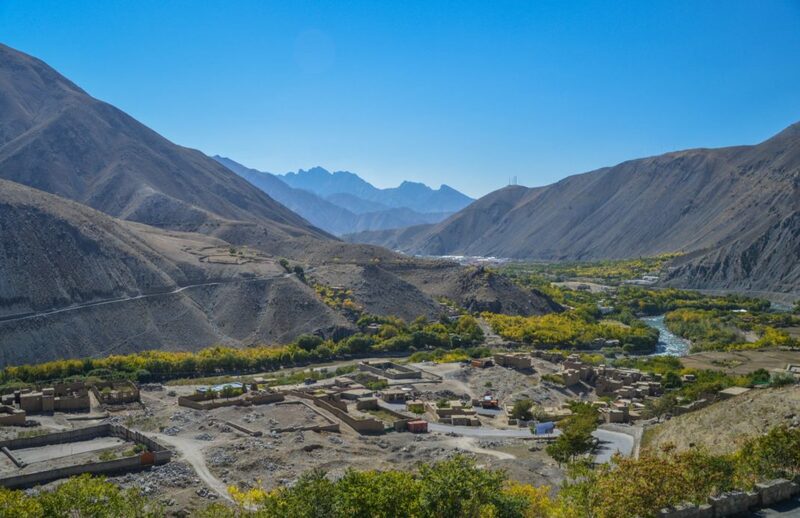 We drove for a few hours into the Panjshir. 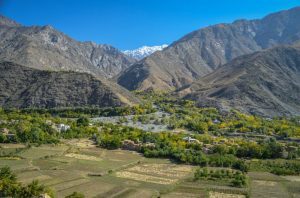 The Panjshir’s scenery is breathtaking. Mudbrick villages surrounded by emerald green field’s dot the landscape. 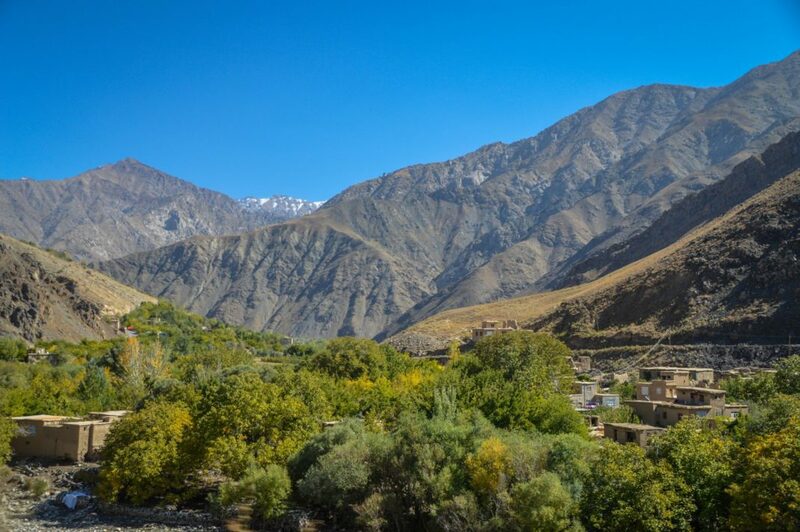 The valley is bordered by soaring white peaks of mountains well above 3000m. 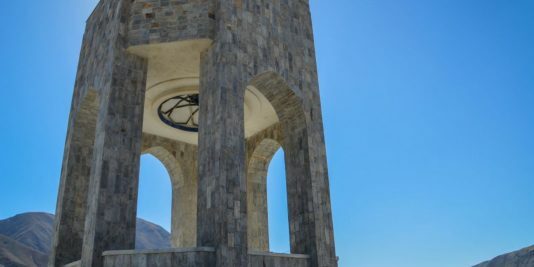 Towards the end of the valley, we arrived at the Mausoleum of Ahmad Shah Massoud. Soaring high above in the middle of the valley, this beautiful mausoleum protrudes over the valley and can be seen from miles away. The Mausoleum is a quiet and peaceful place, old tanks and artillery litter the hill around the Mausoleum itself. Taking selfies with the tanks in this amazing backdrop is half the fun. 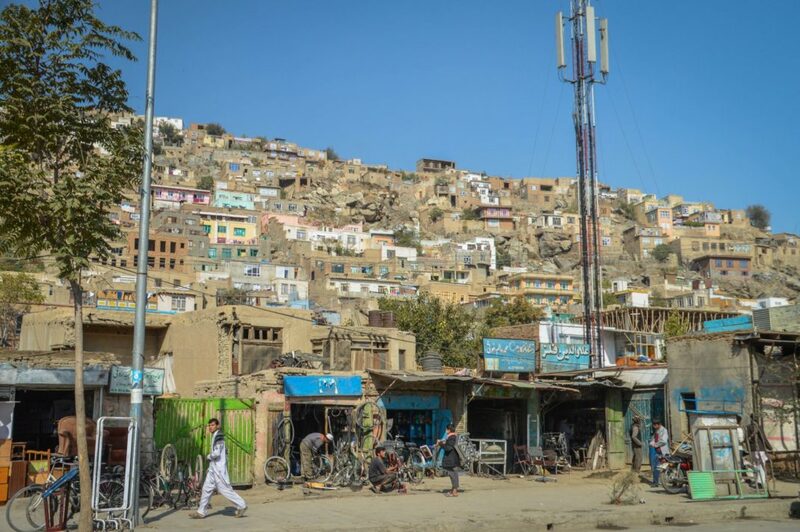 From here, we stopped in a few more villages to chat with locals and enjoy the crisp clean mountain air before we headed off; back to the chaotic city of Kabul. 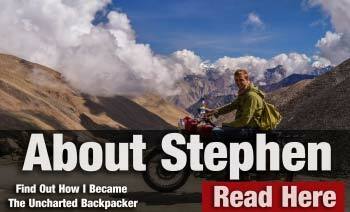 Mention traveling to Afghanistan and you are likely to get looks of concern. “You’re mad?” or, “You must have a death wish.” These were some of the things I was told. The concern you receive from others is not without reason. 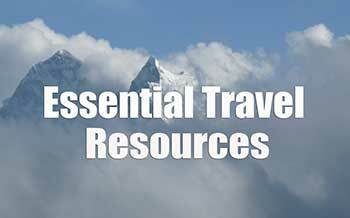 Traveling here does come with some risk, and without in depth planning, travel here can be downright volatile. 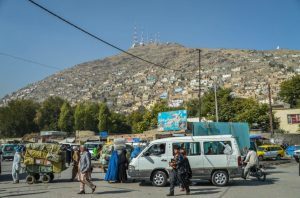 The major issues and concerns with Afghanistan have to do with the current political situation. 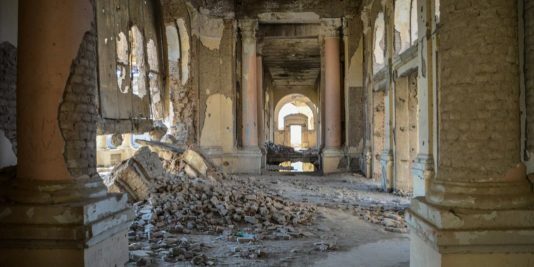 The military and government are often battling it out with terrorist organizations like the Taliban, ISIS related groups, and armed drug dealers. This violence often spills out into the streets and civilian casualties are very common. 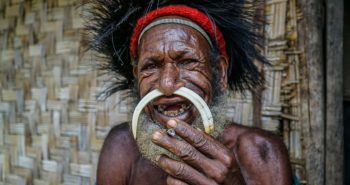 NGO’s, military, and any other foreigner based programs are often targeted by these groups. Kidnappings and killings do happen. Know where you are and if there have been recent issues. 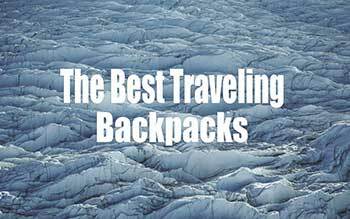 Obviously, there is a lot more to traveling here, but these are some things I did to keep safe. 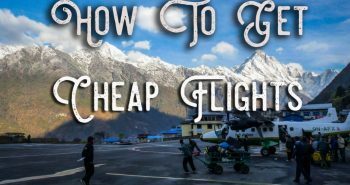 Whatever you choose to do, your trip will be unique and you should plan as much as you can beforehand. 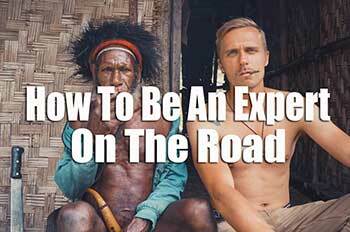 Try to get some local knowledge before you head over! 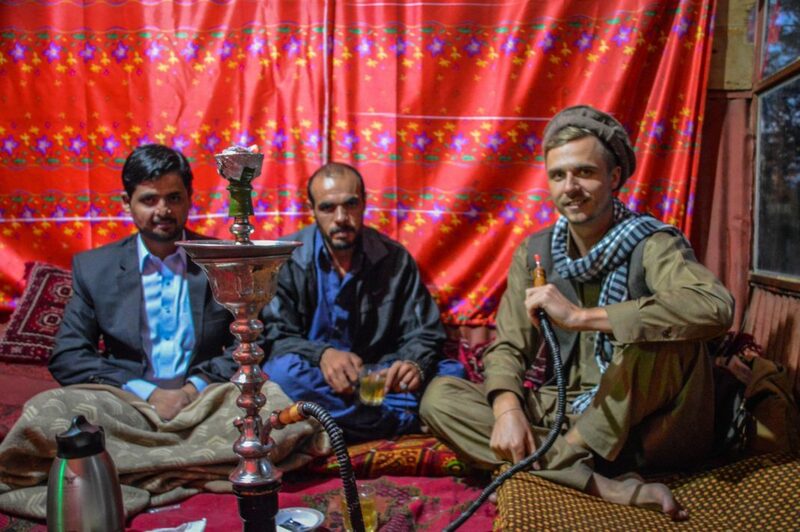 Gear: Local Afghan Clothing, Herbawi Arabic Scarf, Pashto Hat. 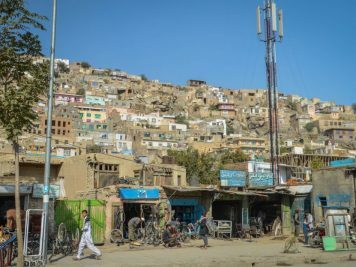 Nomad Solar Panel – Afghan Outlets are Shady. Non-Flashy backpack. 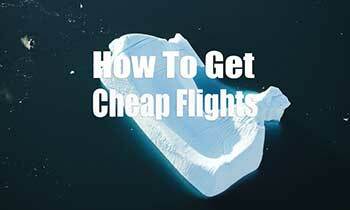 Previous postHow to Get Cheap Flights! James here from Shaw TV in Cranbrook. 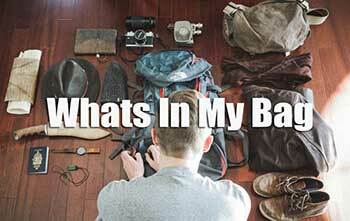 We’d like to talk to you about creating an Uncharted Backpacker video series for our channel. Is there an e-mail address or phone number I can reach you at to talk a little bit more about what we were thinking? This is a country I’ll never choose to travel to, because I’m a Western woman used to equality, and it being a country at war. Nonetheless, I can see this is a quite beautiful and fascinating country, so I am really enjoying my armchair travels reading your posts. Thank you!